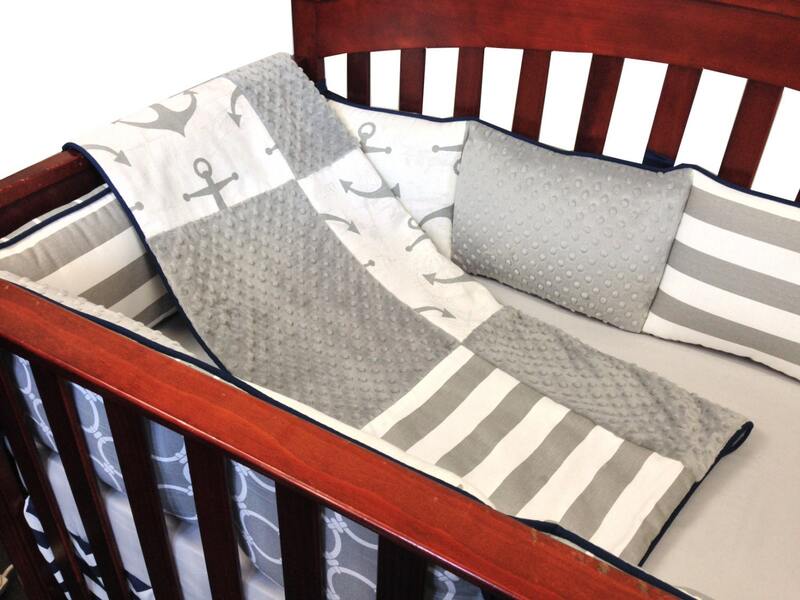 Crib blanket in large patchwork design with mixed patterns. 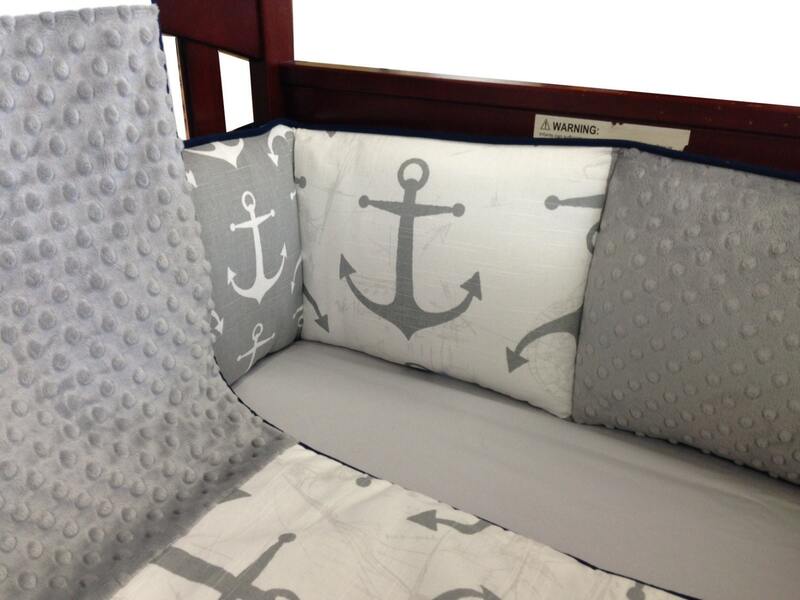 The reverse is all gray minky fabric with navy cotton cording on the edge. 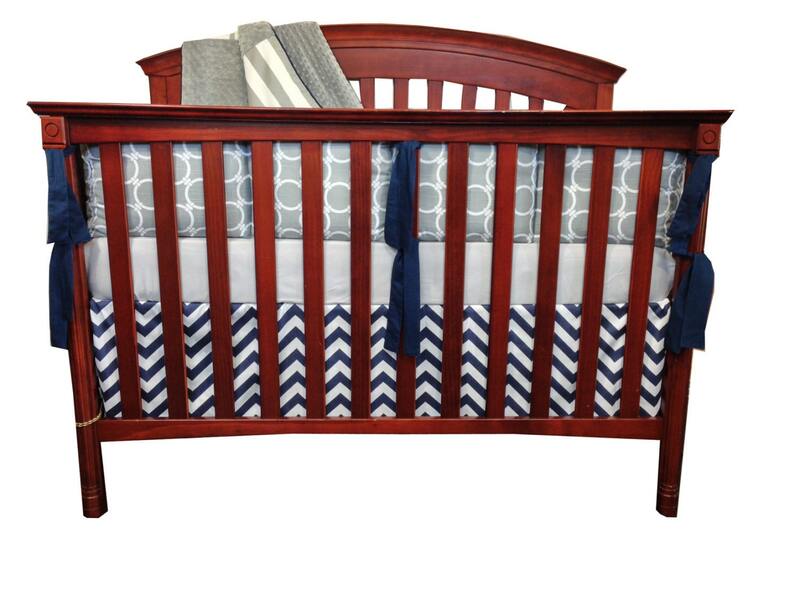 Crib bumper fits all standard size cribs. 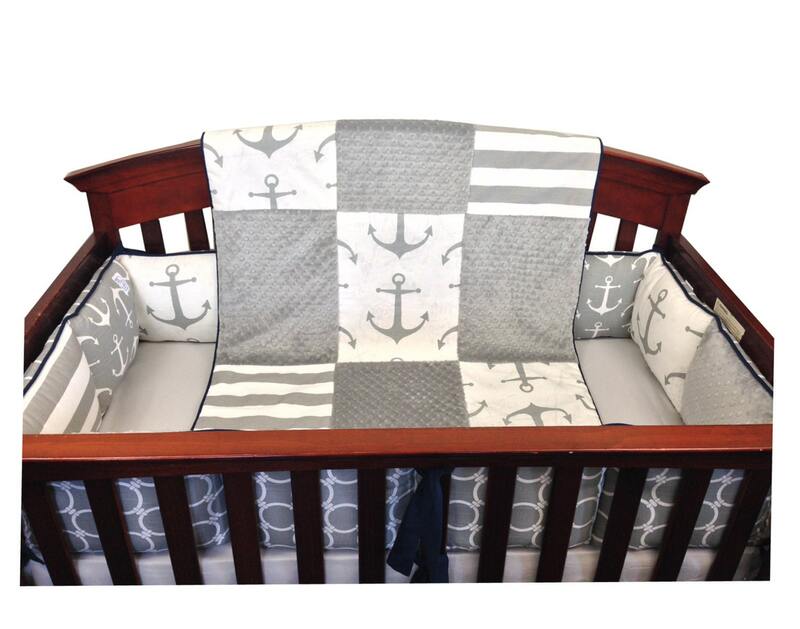 The outside of the bumper is all gray links, the inside is mixed nautical patterns. Ties and cording are done in navy cotton. The fiber is sewn in top and bottom and it won't shift or bunch after washing.